A DUI driver cause a four vehicle crash and was trapped in his car after landing on the sidewalk. 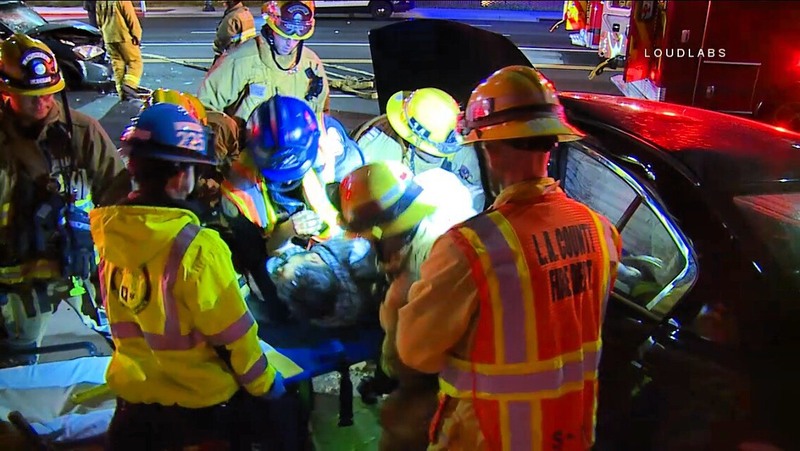 He was freed using the Jaws of Life and was transported by ambulance to an area hospital. The victim and his car had a very strong odor of alcohol coming from it while LACOFD was working on freeing him. There was damage to three other vehicles and at least one other victim was transported to the hospital. The intersection was closed for the investigation and clean up.